As a 21st century medicine woman, Health and Well-being Coach, personal awareness trainer, mother, grandmother, and teacher, Norma employs a variety of unique healing modalities to assist and comfort, with intent toward healthful change and renewed authenticity and freedom. Following an M.A. in English and years of postgraduate interdisciplinary study, Norma traveled far to study with original founders and top teachers of many new and ancient healing modalities including Massage Therapy, Polarity Therapy, T’ai Chi Chuan, Lomi Deep Tissue, Tellington Touch, Rebirthing, Whole Brain Functioning, Shamanism, Soul Retrieval, New Decision Therapy, Reconnective Healing, Quantum Touch, Thought Field Therapy (TFT), CEASE Therapy(Autism+), and of course, Homeopathic Medicine. After graduating with honors from the International Academy of Homeopathy and the Homeopathic College of Canada, she became Clinic Supervisor of the Teaching Clinic of the HCC, teaching first year Homeopathic Medicine and the course for medical doctors and health professionals. In 1998, she was elected President of the Ontario Homeopathic Association and was responsible for the completion and submission of the application for regulation of the homeopathic profession to the Government of Ontario. Through the OHA, Norma is registered as a Doctor of Homeopathy (H.D.) #9501. She sits on the Advisory Council of the Ontario College of Homeopathic Medicine. As a past board member of the Association for Thought Field Therapy Foundation, she formed and chaired the Trauma Relief Committee, deploying ATFT members to assist with TFT trauma relief techniques in various global disasters- and now serves on the General Advisory Council of the ATFT. During her years of training in complementary healing modalities, she worked as an advanced level personal awareness trainer. In the USA, she designed and taught advanced trainings for Impact Seminars, Koyen & Associates, and Emerge Seminars. In Japan, she designed and taught advanced trainings and trained trainers and staff for Life Dynamics. In Canada, she designed and taught Life in Balance for Outcomes, Inc. And most recently, has taught advanced seminars for a personal development company, in Moscow. One highlight of her career is her work with singer-activist John Denver, co-founder of the Windstar Foundation. She co-designed and co-trained the Vision Quest training donated to the Windstar Foundation by ARC International. And she co-designed, with John Denver and Dennis Becker, the “Higher Ground” event which John delivered and performed throughout the world to forward the action toward global sustainability. In private practice near Toronto, Norma specializes in the treatment of trauma, grief, phobia, emotional distress, and stubborn symptoms in adults and children, including ASDs. She has developed a reliable method of self-muscle-testing which allows her to treat successfully by phone, and to teach others how to self-test and self-treat with TFT. She sings in several choirs, enjoys veil painting, writing poetry, holistic health pursuits, and spending time with family and friends at home, and in Ontario’s beautiful northland. 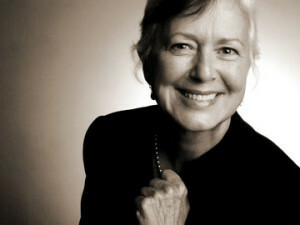 Norma Gairdner, M.A. H.D. TFT-Adv.